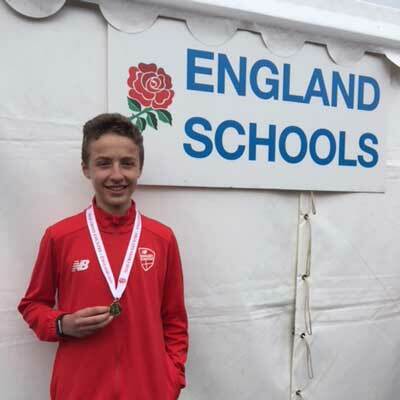 Blue Coat cross country athlete Year 9 Sam helped England win a gold medal in his age group at the 2018 Home Countries and SIAB International at Wollaton Hall in Nottingham on Saturday, 24 March. 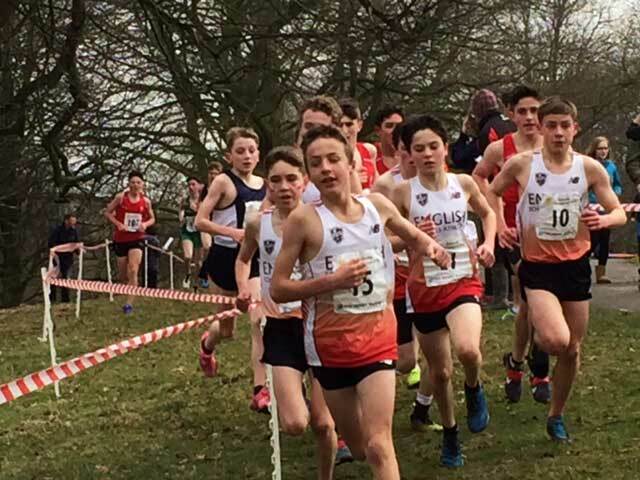 Sam set the pace for the first half of the Junior Boys’ race and ended up 9th overall – and the 6th England vest home – thereby contributing to the England Gold medal. Sam qualified to represent England at the Home Countries match by finishing in the top eight in his race at the New Balance English Schools’ Cross Country Championships 2018, on March 17th. In sub-zero temperatures and very challenging conditions, Sam represented Berkshire in the junior race. In a field of more than 350 runners, he excelled, finishing in 7th place, after what Blue Coat’s Head of Athletics Mr Cook described as “a fantastic run, full of great tactics and huge effort”.